Courts • Judge calls the beating death of 15-year-old Anne Kasprzak in March 2012 "unspeakably vicious." 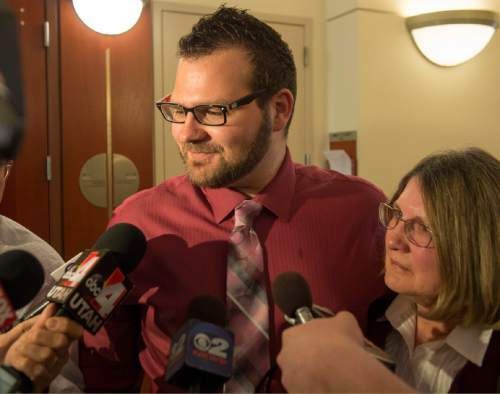 Rick Egan | The Salt Lake Tribune Darwin Christopher Bashaw makes a statement at his sentencing, at the Matheson courthouse, Monday, April 25 Rick Egan | The Salt Lake Tribune Darwin Christopher Bashaw stands to make a statement at his sentencing, at the Matheson courthouse, Monday, April 25. Bagshaw pleaded guilty in February for the 2012 death of 15-year-old Anne Kasprzak, when he was 14 years old. 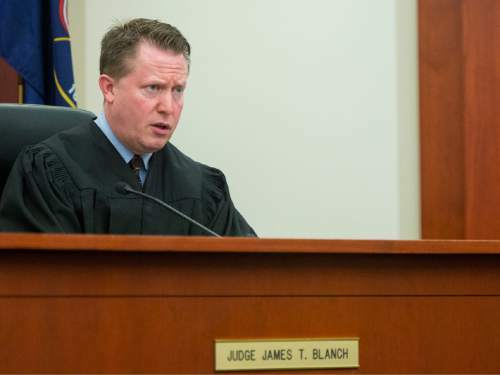 Rick Egan | The Salt Lake Tribune Judge James T. Blanch explains the sentence, during the sentencing of Darwin Christopher Bashaw, who pleaded guilty in February to first-degree felony murder for the 2012 death of 15-year-old Anne Kasprzak, when he was 14 years old. Monday, April 25 Rick Egan | The Salt Lake Tribune Darwin Christopher Bashaw listens to proceedings at his sentencing, at the Matheson courthouse, Monday, April 25. Bagshaw pleaded guilty in February for the 2012 death of 15-year-old Anne Kasprzak, when he was 14 years old. Rick Egan | The Salt Lake Tribune Darwin Christopher Bashaw stands by defense attorney Chris Brown, as he makes a statement at his sentencing, at the Matheson courthouse, Monday, April 25 Rick Egan | The Salt Lake Tribune Darwin Christopher Bashaw stands by defense attorney Chris Brown, as he makes a statement at his sentencing, at the Matheson courthouse, Monday, April 25 Rick Egan | The Salt Lake Tribune Darwin Christopher Bashaw stands by defense attorney Chris Brown, as he makes a statement at his sentencing, at the Matheson courthouse, Monday, April 25 Rick Egan | The Salt Lake Tribune Darwin Christopher Bashaw listens to proceedings at his sentencing, at the Matheson courthouse, Monday, April 25. 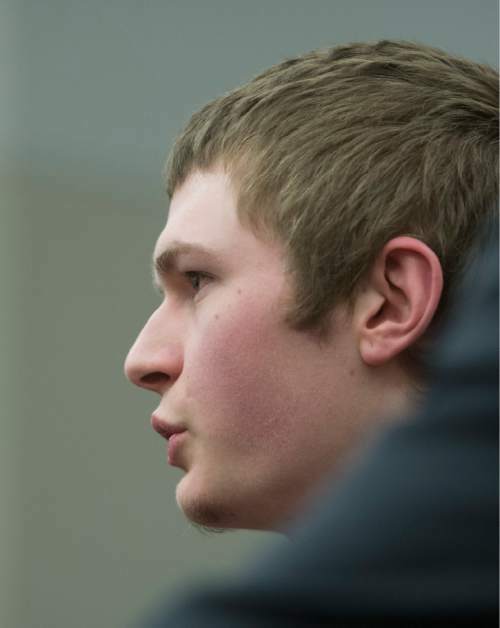 Bagshaw pleaded guilty in February for the 2012 death of 15-year-old Anne Kasprzak, when he was 14 years old. Rick Egan | The Salt Lake Tribune Dennis Kasprzak father of Annie Kasparzak stands with his mother karen, as he answers questions from the media, after the the sentencing of Darwin Christopher Bashaw, for the first-degree felony murder of 15-year-old Anne Kasprzak,at the Matheson Courthouse, Monday, April 25, 2016. 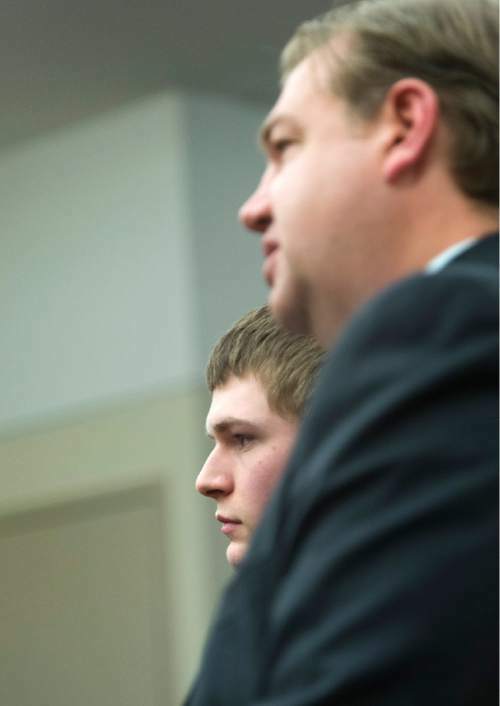 Rick Egan | The Salt Lake Tribune Judge James T. Blanch listens as Dr. Matt Davies answers questions during the sentencing of Darwin Christopher Bashaw, who pleaded guilty in February to first-degree felony murder for the 2012 death of 15-year-old Anne Kasprzak, when he was 14 years old. 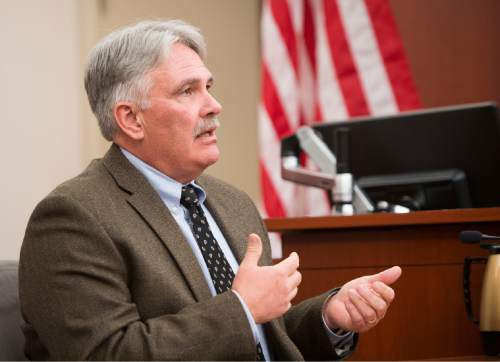 Monday, April 25 Rick Egan | The Salt Lake Tribune Dr. Matt Davies answers questions during the sentencing of Darwin Christopher Bashaw, who pleaded guilty in February to first-degree felony murder for the 2012 death of 15-year-old Anne Kasprzak, when he was 14 years old. 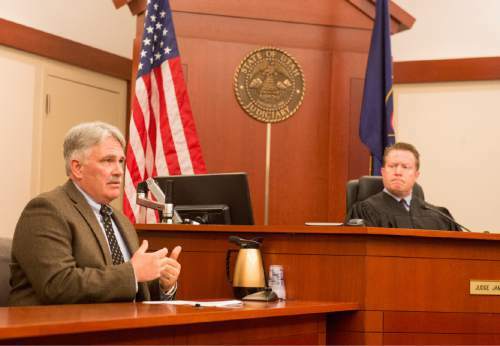 Monday, April 25 Rick Egan | The Salt Lake Tribune Dennis Kasprzak father of Annie Kasparzak speaks in court, during the sentencing of Darwin Christopher Bashaw, for the first-degree felony murder of 15-year-old Anne Kasprzak,at the Matheson Courthouse, Monday, April 25, 2016. Rick Egan | The Salt Lake Tribune Dennis Kasprzak father of Annie Kasparzak speaks in court, during the sentencing of Darwin Christopher Bashaw, for the first-degree felony murder of 15-year-old Anne Kasprzak,at the Matheson Courthouse, Monday, April 25, 2016. 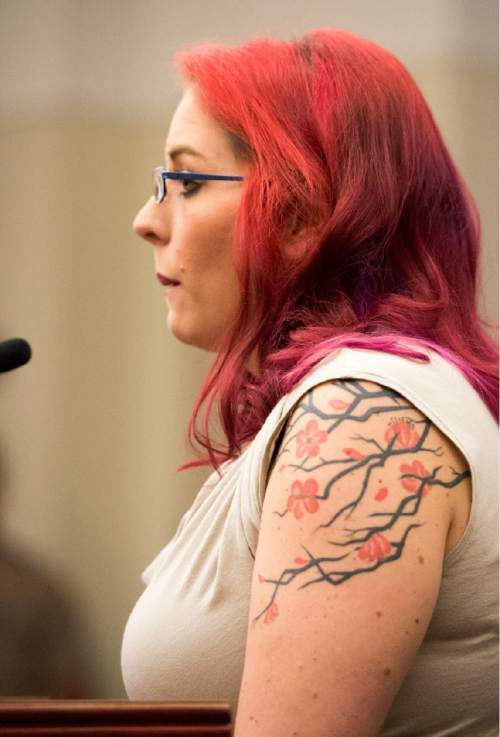 Rick Egan | The Salt Lake Tribune Jennifer Kasprzak, stepmom of Annie Kasparzak speaks in court, during the sentencing of Darwin Christopher Bashaw, for the first-degree felony murder of 15-year-old Anne Kasprzak,at the Matheson Courthouse, Monday, April 25, 2016. 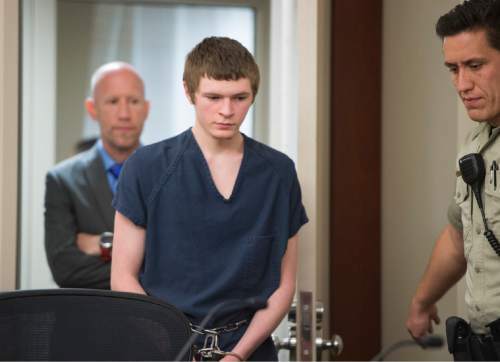 Rick Egan | The Salt Lake Tribune Darwin Christopher Bashaw enters the court room for sentencing at the Matheson Courthouse for first degree murder, Monday, April 25, 2016. Bagshaw pleaded guilty in February to first-degree felony murder for the 2012 death of 15-year-old Anne Kasparzak. 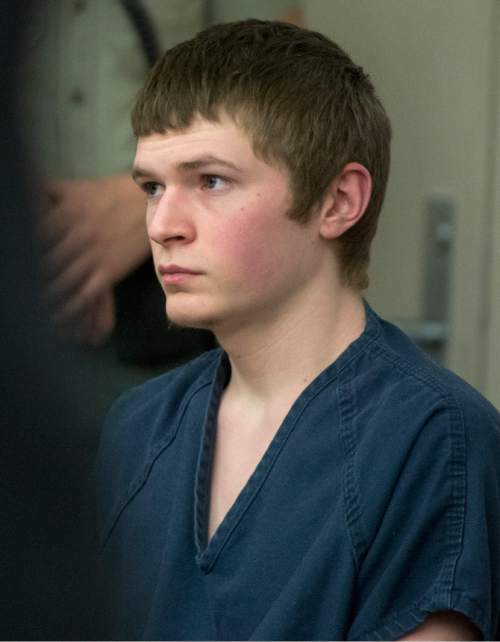 Claims by 15-year-old Anne Kasprzak that she was pregnant with his baby are what caused a then-14-year-old boy to beat her to death with a shovel in 2012, an attorney said during a Monday sentencing hearing. Darwin "Christopher" Bagshaw&apos;s defense attorney, Chris Bown, said his client snapped when Kasprzak, his girlfriend, told him she was pregnant and that they needed to run away together. "He was confronted with a situation that he did not have the capacity to process in the correct way," Bown told a judge. 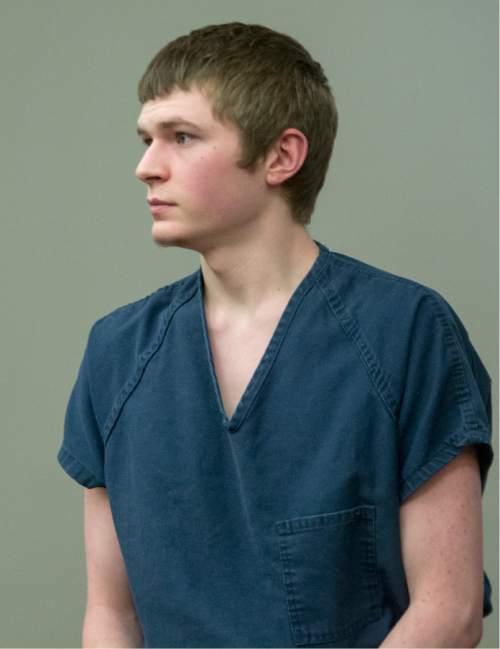 Bagshaw, who is now 18, reacted by hitting the girl multiple times with a shovel that he found near the Jordan River on March 10, 2012, Bown said. Kasprzak&apos;s body was found in the river a day later. 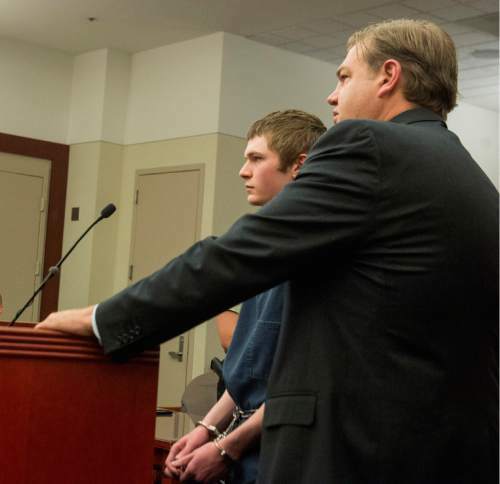 While Bown described the fatal beating as an "impulsive decision" made by a young teen who did not have the brain development to understand the consequences of his actions, Deputy Salt Lake County District Attorney Peter Leavitt claimed the crime had been planned and that the teen went to great lengths to cover up his actions. He argued that Bagshaw deserved a prison term of 15 years to life. "He took her life in the most calculated, cold-blooded and brutal way that he could," Leavitt said. Ultimately, 3rd District Judge James Blanch did order the 15-year-to-life prison term. 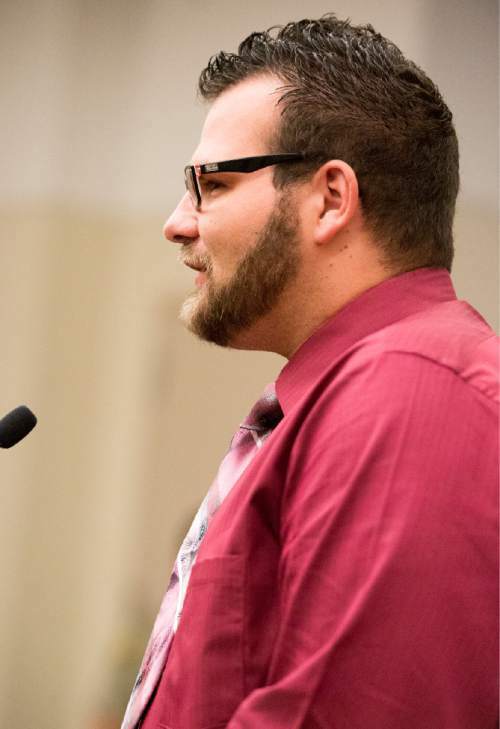 It was a mandatory sentence, he said, for the first-degree felony murder charge to which Bagshaw pleaded guilty in February. He called the crime "unspeakably vicious and cruel." Before Blanch handed down the sentence, Bagshaw offered a quiet apology to the girl&apos;s family  an apology, Bown said, that he would have preferred to do in private without television cameras and the public watching. "I&apos;m very sorry for everything that happened," Bagshaw said. "I want to apologize to Annie&apos;s family." Bown said that while he knew the judge&apos;s hands were tied, he thought a five-year-to-life sentence was more appropriate for a young defendant. 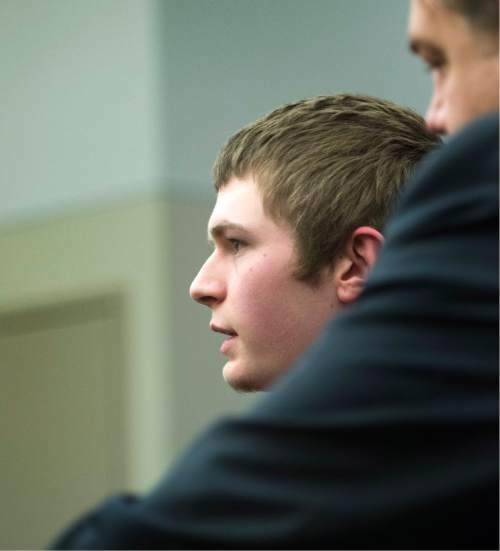 The defense attorney  who said he was addressing his comments toward lawmakers and the parole board  said it was not fair to tell a 14-year-old that he or she needs to serve a minimum 15-year prison sentence, which is longer than he or she has been alive. 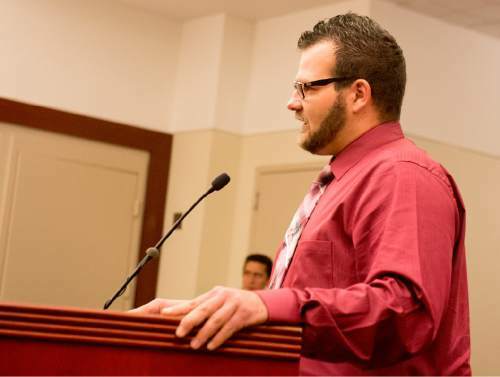 "I hope at some point that somebody sees that the 15-year-to-life system that we have doesn&apos;t fit when we certify juveniles to the adult system," he said. Kasprzak had told Bagshaw and several of her friends that she was pregnant, but her stepfather denied that was the case while he testified at a preliminary hearing. Dennis Kasprzak, the girl&apos;s father, was emotional Monday as he described looking at his daughter&apos;s body after she was found in the river. "What I saw there, your honor, wasn&apos;t my daughter," Dennis Kasprzak said. "It was something you would see being hit by a train. … The only identifiable feature of my young daughter, my baby girl, was a little dimple on her chin." An autopsy found Anne Kasprzak had suffered multiple blunt force injuries to her head, leaving her skull fractured and her forehead shattered. "This wasn&apos;t one hit with a shovel," Dennis Kasprzak said. "It would have been repeated hits, over and over." The victim&apos;s parents told Blanch of the loss they have felt after the girl&apos;s death, and they spoke of all of the milestones the young teen would never have. She would never graduate from high school or college, they said, never go to a prom or buy her first car. She would never grow up and become a mother. The victim&apos;s mother, Veronica Kasprzak, read from Anne Kasprzak&apos;s journal an entry from 2010 where the girl wrote about "25 reasons I&apos;m important." The No. 1 reason listed: "God put me here for a reason." The teen also noted that a lot of people love her, she&apos;s pretty, important, loves herself and helps others. Veronica Kasprzak then read the journal entry in which her daughter first mentioned Chris Bagshaw, saying she saw him in class and liked him a lot. The woman then turned to Bagshaw and said: "Her only mistake was falling in love with the hope of a future with you." Veronica Kasprzak said she wants Bagshaw to serve a minimum of 15 years in prison. "You took her away from us because you thought she might complicate your life," she said. The mother challenged Bagshaw to show his remorse by making a monthly donation to an animal shelter, noting that her daughter loved animals. She said she plans to attend every one of Bagshaw&apos;s parole hearings. "Don&apos;t think for a moment that because I forgive you, that I will ever forget," she said.